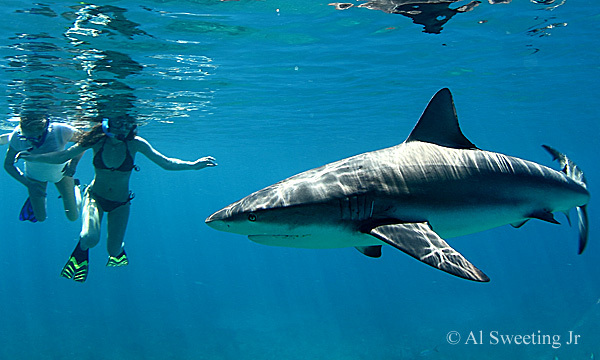 Interested in a shallow water shark adventure? Just a few miles from Bimini, Caribbean reef sharks (and occasionally a few other species) make their home on reefs that are scarcely 12 feet deep. It's an excellent opportunity to observe these fantastic creatures using only snorkel gear as they roam their natural habitat.